Chronicle of My Journey with Various Lifehacks, Productivity Tips and Tools. You can read about (and see) it here. So I am really happy with the combination of todo.txt, PHP and Slickrun to edit the actions. But while I was surfing (not aimlessly) I came across this Ruby implementation of GTD system. I had heard and read about it even earlier, but didn't bother trying it out. This time I decided to try it myself. It didn't take much time for me to find this nice tutorial. Obviously, Tracks on Windows is popular and has been around for a while. Otherwise finding such crisp instructions is not common for tools based on open source technologies. The instructions were not without their share of problems , but looking back they were hardly big problems, nothing that little bit of googling can't solve. Initially I decided to get the latest and (hopefully) greatest versions of all the components required. Needless to say that didn't go well. The instructions were written for specific versions. So this time I decided to follow the instructions to the letter. Downloaded all the exact versions listed in the PDF, from the links provided in the tutorial. I already had Uniform Server 3.3 installed, So that was the only variation from the tutorial. The instructions were really simple and things worked OK till step 22. rake was not to be found on my system. Having googled about Ruby and rails, I realized that I can download rake separately. I got it from here. Once rake was installed, it was smooth sailing after that. For some reason (may be it is a known issue) when I resume back from hibernate, Tracks doesn't work until I restart the server. Note: I have this installed on my laptop, hence hibernating. Otherwise it may work just fine. When I start the server from command line using ruby.exe, I can not close the command window where messages are displayed, else it stops Ruby/WEBrick server as well. One possible option is to use rubyw instead, so that there is no terminal to be kept open. But due to #2 above, I prefer to have a command prompt open, so that I can at least restart the server when required. For those of you who are not aware, Magicwords is an open source clone of SlickRun. I came across this when I was searching for Slickrun. It is currently at version 1.3, so that made me think it must be quite stable, and hence wanted to give it a shot. I am quite happy with SlickRun as is, but wanted to find out how it compares. The developers of Magicwords must be true Slickrun fans/devotees. They have tried to make this perfect clone. Right upto the "Import QRS" file option. The import worked fine. Adding a new magic word was better than from SlickRun. I'm not aware of hotkey to add a magicword in SlickRun. I always used the setup magicword, and then New Magicword button, followed by the dropper to pickup the application. Here, I was pleasantly surprised that there is a dedicated hotkey for adding a magicword (Default CtrlF11) But more surprisingly, when invoked, it picked up the application under focus as the filename. This can be very handy during initial setup. The setup option brings up a dialog box with 5 tabs. The first one is probably most used, and comes with two default magic words. Slickrun's default list is far better. The next tab is named Tools. It wasn't clear as to what is its purpose. It came up with no entires listed. There is no apparent way to add any entries either. Other two tabs you can see here namely Parameters Plugin and Help, are also read-only tabs . Parameter Plugin tab lists how to use the parameters like $I$, $W$ etc with the magic words. Slickrunners would be at ease here. But this is probably helpful for some one who has never used Slickrun, or at least never used parameters with their SlickRun magic words. Good addition, but doesn't justify a separate tab, in my opinion. This could have been covered in Help tab itself. The Help tab renders Wiki page from the Project's website. This means no help available in offline mode. It would have been better to have a local copy of the HTML help file. This brings me to the ugliest and buggy tab ever, the Options tab. I did not like the over all look. The fonts chosen are too inconsistent. When modified, the "Size", changes were not reflected. Same goes for the Hotkey. I changed the default CtrlF12 to AltF12. Didn't work. But the background color change was saved and reflected immediately. In terms of features, I think it supports most of the features (and more) of Slickrun, but in terms of stability it is far behind. (After all, SlickRun is at 3.9 as of this writing) MagicWords crashed within 5 minutes of use. The error was related to .Net Framework. This says it all about stability. Overall, a promising SR clone, that is not just there, yet. All I have is nice picture occupying the full screen (Thanks to Webshots). I find the calendar Feature of Webshots very handy. I can see three months at a stretch. To the right I have my todo list. I maintain the todo list using todo.sh scripts created by Gina Trapani of Lifehacker. I use Active Desktop feature to display it on the screen. todo.sh has option to sort of contents by priority and then color code it. But is works only in a shell. So I created my own standalone PHP parser to create the color coded output that I want. Finally, slickrun to launch many of my frequently used apps and URLs. Font size used is 48. Nice and Big Date and Time display. My comment was randomly selected on Productivity 501 website. You can read my comment here. I'll write about it when my friend returns and I finally get to use the Action pad. Following VBA code will remind you if you are sending an email with empty subject line, or when you forget the attachment. It checks mail body for word "attach" and then confirms if something is really attached. If you attachment is missing, it will pop-up a dialog box. 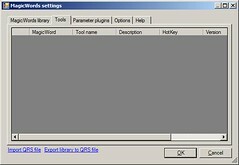 In your Outlook 2003, invoke Visual Basic Editor, either by pressing Alt+F11, or navigating the menu as "Tools->Macro->Visual Basic Editor"
In the Left hand side "Project" panel, make sure entry named "ThisOutlookSession" is highlighted. Copy paste the code given below in the Right hand side Panel. Exit out of VB Editor by either Alt+Q or by navigating the menu item File->Close. The changes we made will NOT work with High security, so we need to "certify" our code, so that it always works. Invoke "selfcert.exe" from "C:\Program Files\Microsoft Office\OFFICE11\SELFCERT.EXE"
In the dialog that pops up, Type your name. Select your name, Click "OK"
Click "OK" to come out of "Digital Signature" dialog. When asked about macros, select "Enable Macros"
Try sending an email with empty subject to yourself, to test if everything works. Type "attach" or "attached" in email body and send email to yourself without actually attaching any file.